If 2017 has shown us one thing in the enterprise technology space, it's that "one size fits all" doesn't exist anymore. There is a movement in IT towards more collaborative, cross-functional teams and less specialization overall. Enterprises are demanding an open ecosystem, and vendors will need to fill that demand or risk getting left in the dust. The following predictions illustrate a shift in thinking across IT channels, and a focus on application-centricity as the new approach to infrastructure performance assurance. 2018 will bring a shift in thinking as IT managers move away from the "hybrid data center" and focus their attention on the "hybrid application." The realization that there are multiple components to a single application, living in different data centers and on different infrastructure types, signals the beginning of the application-centric era. Technology decisions will increasingly be based on the needs of the application, and service level agreements (SLAs) will need to assure application-specific performance. This deliberate process for choosing the right technology for the right application is in stark contrast to the experimental - and oftentimes blind - buying process that's commonly used today. Related to the shift from the hybrid data center to hybrid applications, intelligent workload placement will also increasingly drive purchasing and deployment decisions. Previously, the deployment decisions around workloads were made with minimal understanding of application performance requirements and how they might be impacted by workload placement. In 2018, we should expect to see a new concept take center stage: workload tiering within overall workload placement strategies. Whether workloads are tiered by technology or by infrastructure type, this strategy will result in a tighter alignment between application profiles, associated workload behavior analysis and the type of infrastructure supporting the individual applications. In other words, "one-size-fits-all" workload placement and deployment decisions will be a thing of the past, as IT managers realize that no single approach or vendor is more cost-effective for all application workloads - nor will it ensure the performance and availability of all applications. This will become increasingly apparent as hyperconverged and software-defined infrastructure customers realize their environments are not necessarily suitable for all workloads. Cloud repatriation, or the act of pulling workloads that once were deployed in the public cloud back to on-premise or hybrid facilities, has made a significant impact this year. In fact, a recent survey from Enterprise Strategy Group found that more than half of the respondents had already pulled something back from the cloud, and IDG and Datalink found that nearly 40 percent of organizations with public cloud experience have migrated applications from the cloud back to the data center. Moving into 2018, more enterprises will recognize that not all workloads are suitable for public cloud deployment. Hybrid or on-premise environments oftentimes offer superior performance, tighter security and better cost control for business-critical applications. The repatriation of these workloads and the redeployment process will continue to shake up the cloud vendor ecosystem, and public cloud providers like AWS will no longer be the de facto choice for enterprises evaluating their cloud strategies. Whereas infrastructure performance management (IPM) has traditionally collected data from virtual machines, servers and storage arrays, the new era of IPM will focus on the application. Since applications reside across various layers of network and storage environments, this "app-centric" version of IPM provides a different level of visibility into the performance, scalability and optimization of the infrastructure itself and the workloads that rely on it. This will also shift the focus from traditional metrics, such as infrastructure response times, to workload behavior analysis and intelligent placement. In 2018, we will see IT organizations use fewer silo-centric tools and embrace vendor-agnostic platforms that allow them to move beyond reactive troubleshooting - enabling them to execute true proactive performance management across the entire infrastructure. 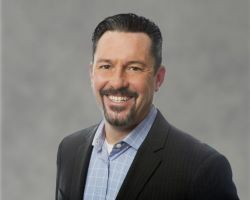 John Gentry has been a leader within Virtual Instruments since 2009, leading the global system engineering organization and leading the marketing team from mid-2012 until the merger with Load DynamiX. As CTO of Virtual Instruments, John is responsible for being the voice of the customer and understanding the key IT infrastructure industry trends that affect product strategy and strategic alliances. John brings nearly 20 years of IT industry experience and has held a number of senior level sales, sales engineering and product marketing positions at industry leaders such as Qlogic, Borland, McData, and CNT.